After tomatoes, Okra (bhindi) is the most easiest vegetable to grow. It loves the heat and humidity. It is delicious and contains many valuable nutrients. Here are some of the tips to grow it successfully. Okra can grow almost any soil although it does not like heavy soil. Loam(meera) and sandy loam soil is best for yield. Incorporate plenty of organic matter into soil and also place a mulch to retain moisture. Okra likes a PH of over 6. Okra is mostly grown from seed as it produces crop fairly quickly after sowing the seeds (45 – 55 days). Soak the seeds in water for few hours for better germination. Sow seeds about 2 inches apart and 1 inch deep. Rows should be at least 3 feet apart if you want to walk in between rows. Seedlings will emerge in 1-2 weeks. You can also direct sow the okra seeds. It is Sown in February for April crop and then again in June/July for September crop. It can also be propagated from cuttings. Maintain regular watering. Do not let the plant wilt at all. It loves watering specially in summer heat. At the same time, soil must be well drained. Fertilize every 3-4 weeks. As part of Hibiscus and cotton family, the flowers are large and beautiful. It will be ready to harvest few days after the flowers fall off. Pick it when it is immature and not more than 1/2 inch thick. Length should not be more than 3-4 inches long. Keeping removing the pods (okra) as it will promote good crop. The most famous local variety is “Sabz pari”. If you want to try imported variety suitable to our local climate then try “Clemson Spineless” and “Emerald”. For dwarf try “baby Bubba” and “sweet Lucy”. I found your tips extremely helpful. Can you please post tips on growing bitter gourd and bottle gourd as well? 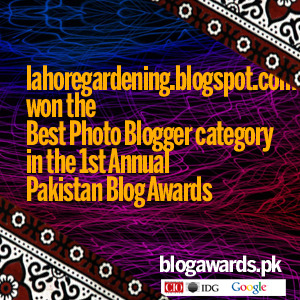 I m a beginner in kitchen gardening and want help in growing vegetables that suit lahore’s weather.